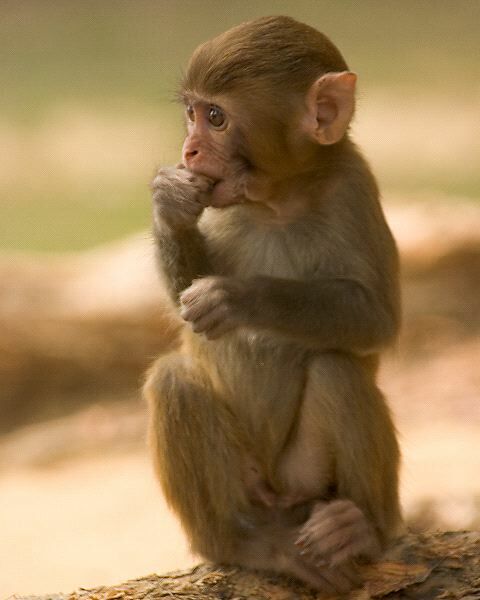 The Monkey can be one of many different species. They have long fur that can range in colors. They have opposable thumbs like humans and they are able to grasp items with their long tail as well as with their hands and their feet. They offer a variety of vocalizations for interacting with each other. The Monkey typically lives in the trees but they sometimes are found on land from time to time. They consume leaves, termites, fruit, and just about anything that they can find in their environment. They are very social and live in small troops that migrate around a home range habitat.